The noble and delicate Mittelfrüh hops from the Hallertau region in Bavaria shine in this crisp and aromatic German-style Pilsner. Bríó is named after the late Icelandic artist and bon viveur, Steingrímur Eyfjörð, whose pseudonym, Bríó, means joy, vigor and vitality. 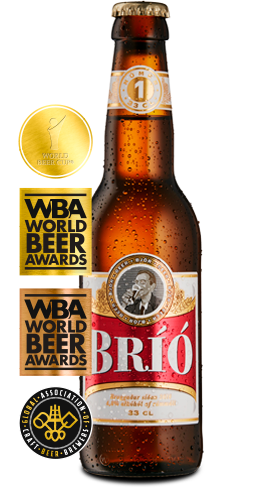 Bríó took the world by storm in 2012, first by winning the German-style Pilsner category at the World Beer Cup, and then being named “World’s Best Pilsner” at the World Beer Awards.